Also , this CNY was the first CNY for Oppa in SG. So he went home visiting with me for 2 days. It was a bit different in Korea where everyone gathers at someone’s house. Korea is very big you see. Travelling from houses to houses can take up to hours or half a day and probably longer if there is a massive jam. This is also his first time collecting Ang Bao. But then..all the ang bao money were spent on taxi fares travelling from houses to houses when my dad was not driving us around. 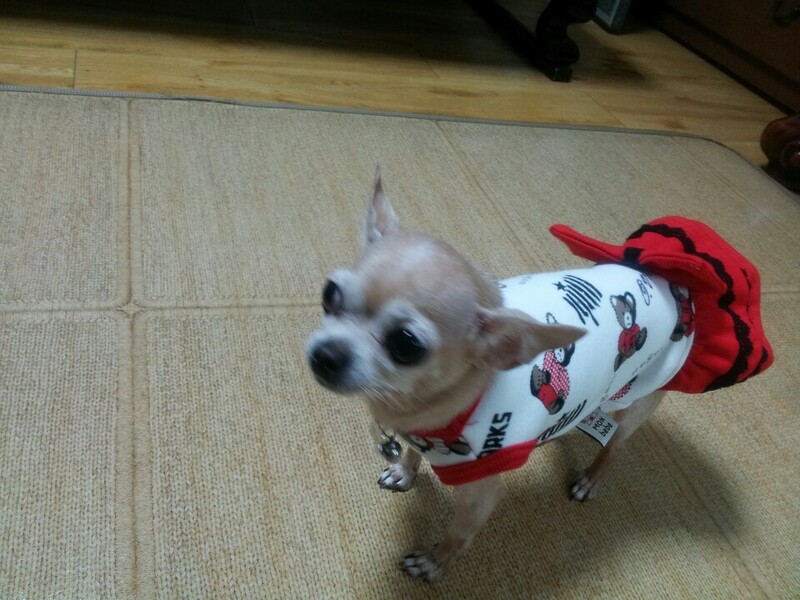 First thing in the morning was to wish his mother a happy lunar new year in Korean and she sent us a picture of Oppa’s chihuahua , Bomi ( her name means Spring in Korean ). Sooo cute right ! She was wearing her lunar new year dress lol. We got her a cooling and heat pad from Daiso and will be bringing over in March. Can’t wait to see this cute little thing in March ! Early in the morning , i went to the temple to pray to my grandparents. Whereas in Korea , they do it at home. 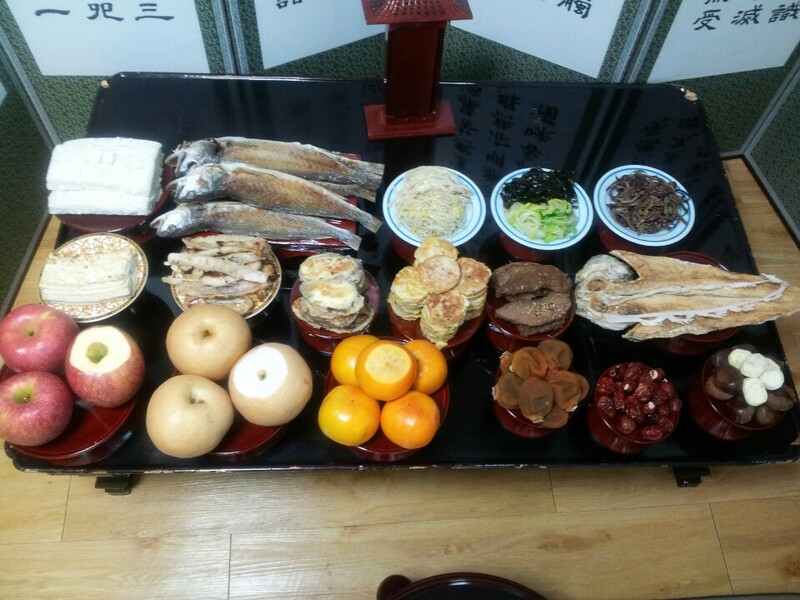 Oppa’s mum sent me this picture and told me that it is to pray to Oppa’s father who passed away when Oppa was in his teens due to heart attack 😦 She prepared them early in the morning. They pray to ancestors and visit their graves in the mountains during Lunar New Year and Thanksgiving. And perhaps next year , i will be celebrating CNY in Korea. We agreed to take turns to spend the Lunar New Year in Korea and SG. Feel sick on first 2 days of CNY and all i could do was to rest at home and watch dramas. The only time i switched on my TV to watch Channel 5 , Channel 8 and Channel U is during CNY where i can get to watch those super old movies ( gambler king , Stephen Chow movies etc ). I don’t get tired of watching them every year. After CNY , its back to online variety shows and dramas. Now ..back to work loh ! The “Sleeping Beauty” skin care blog post will be up next ! Hope it helps for those who asked about sleeping packs and what brands am i using ! This entry was posted in Busan and tagged korea.